Home Charter Advice Do you need a Crew or not on the yacht? You chose a boat to charter with us, you probably even have a skippered license but you are still thinking about whether or not to hire a skipper or a hostess or maybe both on the boat. If you are coming to sail in Croatia, Greece or Italy for the first time, it is a good idea to have a local man on board. Hiring a hostess or a cook is great if you are a truly experienced sailor where he / she could be your local “guide”, let you in on all the excellent places to visit and tips on how to avoid crowds and maybe even give you a hand on board. A skipper is for those people who love to enjoy their vacation and don’t worry about anything. 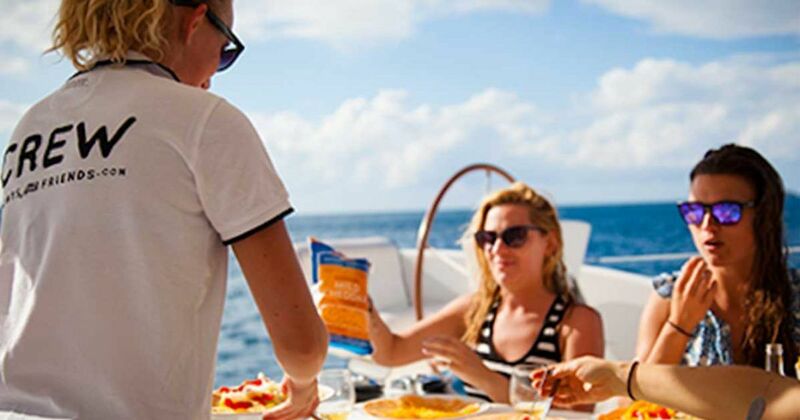 Given our extensive experience in the boating business and especially in charter of all yachts, we have made excellent acquaintances, partners and friends in the industry at all locations – the best caterers, restaurants, destinations, and of course skippers, cooks, hostesses and other nautical professionals that can help you and offer you the best possible service. These nautical professionals makes you the difference between a good holiday and an amazing one! 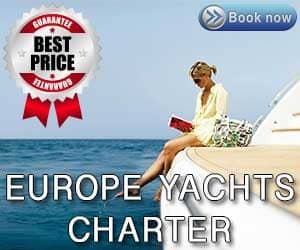 They make sure you are safe and enjoying the time of your life on our yachts in Croatia, Greece or Italy. However, skipper’s responsibilities do not include cooking (although there are some that love to share a recipe or two and are quite skilled in the galley) and dish washing, cleaning the interior, shopping for food and babysitting! A hostess is someone who will do her best to make your vacation more memorable and pleasant with nothing to do then just relax. She is on board to maintain the boat cleanliness, prepare food and clear after meals and to help you to choose the most suitable restaurant for your dinners, give advice on places of interest (guide books do not have so many first-hand information) and also if you are coming with small kind, help you to looking our to them. prepare and serve breakfast and lunch or dinner at the time previously agreed with guests as well as skipper. Other meals can be arranged at additional cost – optional. However, a hostess is not a professional cook and you cannot demand specific sorts of meals (especially not dishes which are specialties of other different foreign countries or dishes that demand extended preparation). The hostess will do her best to provide a diverse Mediterranean menu for all of you, full of local food, rich with fresh vegetables and fruit, sea food and much more. Your hostess will be get in touch with you several weeks before your holiday to plan the menu according to your preferences that you will provide us. Marine experience – all our hostesses are marine trained so they can help during dock maneuvers and some sailing activities. When required, the hostess will help the skipper during maneuvers (coming in and out of marinas, dropping anchor, refueling etc.) and then finish her other duties. Remember, safety on any boat always comes first! A HOSTESS OR A COOK?